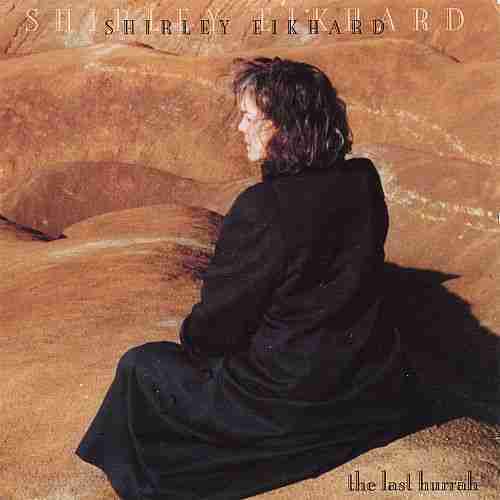 Shirley (Rose) Eikhard is a singer-songwriter, guitarist, and pianist, born in Sackville on November 7, 1955. 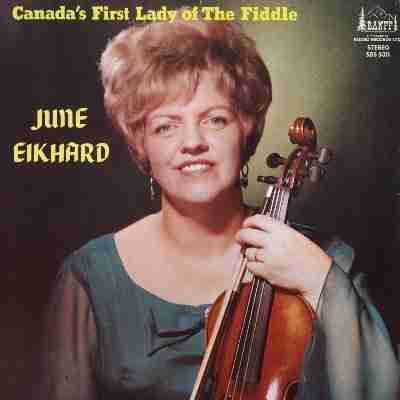 Eikhard is the daughter of the well-known fiddler June Eikhard (born Marguerite June Cameron, Moncton, the first woman to participate in the Canadian Open Old Time Fiddlers’ Contest) and the country musician and bassist Cecil (Arnold) Eikhard. In 1963 the family moved from the Maritimes to Oshawa, Ont. 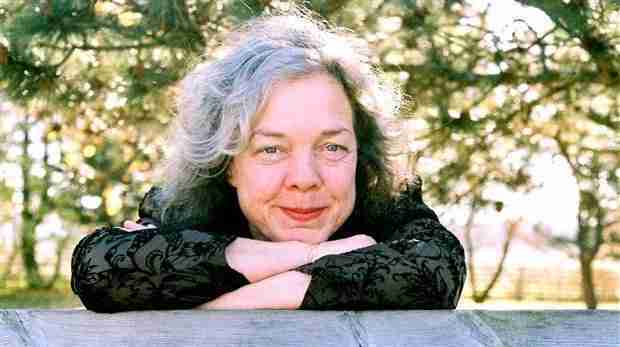 At age 11 Shirley Eikhard began to play guitar and write songs. Following her debut at 12 at a fiddler’s contest in Cobourg, Ont, she appeared at the Mariposa Folk Festival (New Songwriters concert) and on CBC TV’s Singalong Jubilee. She was signed by Capitol Records at age 14. In 1970, the US guitarist Chet Atkins recorded her instrumental “Pickin’ My Way” (the title tune of his LP of the same name). Eikhard was often compared to Anne Murray, who had a modest hit with an early Eikhard song, ‘It Takes Time,’ in 1971. Eikhard herself recorded in 1971 for Capitol, had a country hit in 1972 with ‘Smiling Wine’, and received Juno awards for 1972 and 1973 as best female country singer. Her LPs 1975-7 for Attic: “Child of the Present”, “Let Me Down Easy”, and “Horizons” documented a selective move toward pop, R&B and rock. A version of a Fleetwood Mac song, ‘Say You Love Me,’ was popular in 1976. Eikhard performed during the 1970s in clubs, coffeehouses and concert halls across Canada and toured Canada and Europe with performers such as Hagood Hardy (1975), Sylvia Tyson, Lou Rawls, Sonny James, and Lynn Anderson. In 1985 she journeyed to Nashville, where she wrote 16 songs in six weeks. During 1987 she released her first Eika recording, appropriately titled “Taking Charge”. Eikhard wrote, co-wrote, produced, arranged and performed all songs on the album. She continued to tour in Canada (cutting nightclubs from her itinerary after 1986 as a result of a severe allergy to cigarette smoke). After a discussion about songwriting with Hal David, Eikhard concentrated on composing. She has come to be best known as a songwriter, and has written or co-written songs recorded by the US singers Kim Carnes, Cher, Rita Coolidge, Emmylou Harris, the Pointer Sisters, and Bonnie Raitt. In 1991 Raitt’s hugely successful release of Eikhard’s “(Let’s Give Them) Something to Talk About” (Luck of the Draw) won a Grammy award and skyrocketed Eikhard onto a higher plane of financial freedom and professional respect. Raitt described her experience with recording the track as “like hitting one out of the park, my first number one…” Eikhard has also written songs with the Laurie Bower Singers, Gary Buck, George Fox, Catherine McKinnon, Alannah Myles, Peter Pringle, Ginette Reno, Donna Ramsey, and Sylvia Tyson and Quartette, among others. She has also sung on hundreds of recording sessions with numerous artists. Eikhard recorded “If I Had My Way” in 1995. The disc contained pop, folk, R&B and jazz songs and demonstrated Eikhard’s ability to write successfully in any genre. A long-time lover of jazz and in particular the music of Cleo Laine, during 1996 Eikhard wrote, arranged and produced “The Jazz Sessions”. In 1998 Shirley recorded her second jazz album, “Going Home”. The album garnered the best jazz performance award at the 1999 East Coast Music Association Awards. Following “Going Home’s” release, Eikhard performed on Bravo! television’s Live at the Rehearsal Hall, backed by jazz musicians including guitarist Ed Bickert. The track “Nothin’ Like Love” was featured on the recording Blue Note Festival ’98. Eikhard’s “Tomorrow Is a Lonely Place” won first prize (jazz category) in the 2001 USA Songwriting Competition. Also in 2001, Eikhard produced and engineered “End of the Day”, a largely instrumental recording on which she played guitar, piano, drums, sax, bass, percussion and chromatic harmonica. The album showcased Eikhard’s guitar-playing abilities (eg, “Song For Lesley”) and her aptitude for instrumental writing. Eikhard’s next release, “Stay Open”, provided further evidence of her capacity to successfully write, produce and perform in various styles. Shirley sang the theme song for Stanley Kramer’s THE DOMINO PRINCIPLE (1976) which starred Gene Hackman, Candice Bergen, Richard Widmark, Edward Albert and Eli Wallach. Theme song sung for THE PASSION OF AYN RAND (2000) starring Helen Mirren, Peter Fonda and Eric Stolz. Theme song sung for WOMEN OF THE HOUSE, a CBS television series (1994) featuring Teri Garr and Delta Burke.